To start off, my name is Julien Favreau, I was born in Montreal and I am an Archaeology major at the University of Calgary in western Canada. 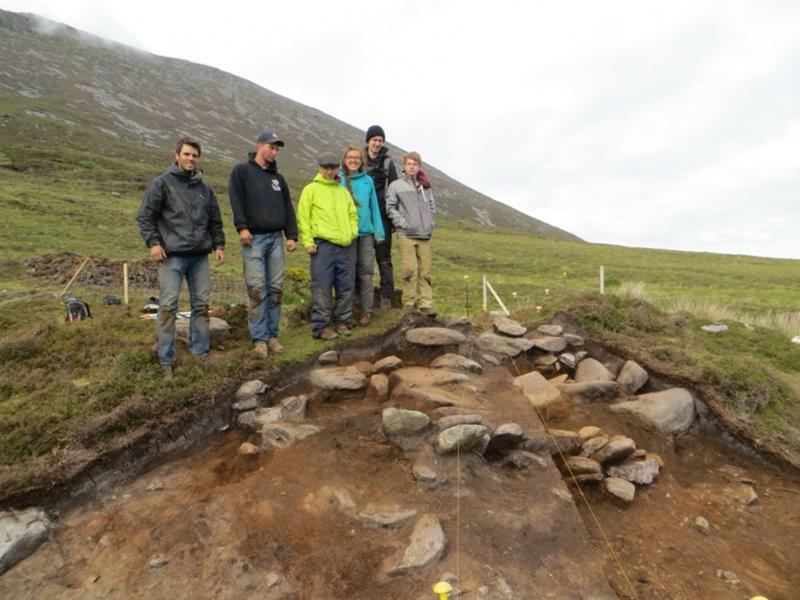 So far, the first few weeks of my archaeological career on Achill Island have been fantastic. Nearly everything I imagined with the exception of sore hands and blisters. There are multiple reasons why I decided to come to Achill Field School. One of which was that it offered transferable academic credit to my home University. Secondly, you pick up so many skills and practical knowledge in the field which is not possible by simply reading textbooks. A bonus was that Achill Field School, unlike others, offers dorm-room style accommodation which is a nice touch considering many other schools only offer tents and sleeping bags to their students. Another reason I was determined to attend Achill, was that in the near future, I’d like to attend grad school with a focus on Old-World archaeology. Also, I couldn’t resist the idea of excavating a site with incredible potential. 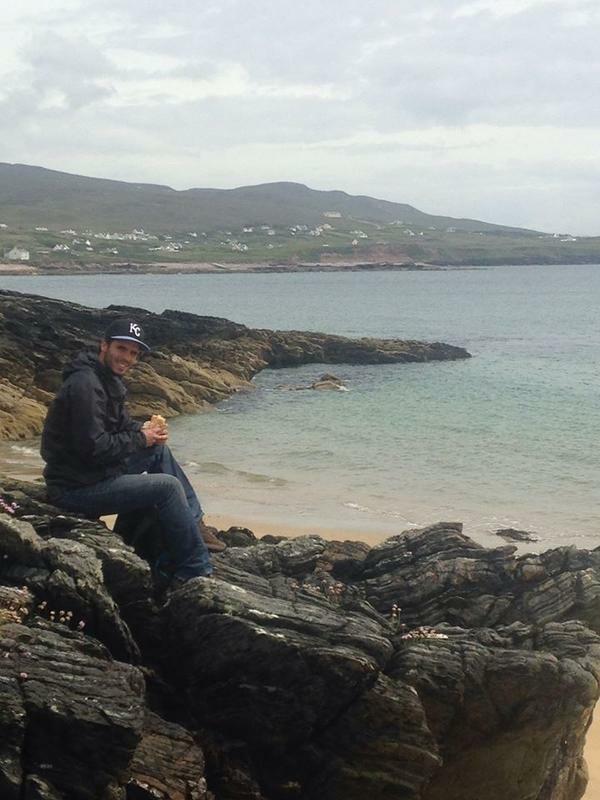 Not to forget, Achill Island has some of the best scenery in all of Europe which makes a great view from the office! As our fourth week of excavations loom closer, it is only now I am realising how much work has been accomplished on site in only three weeks! Everything from removing topsoil, to uncovering features, to fighting the rain and bugs, to digging ‘sondage’ trenches so we can figure out how best to proceed. Our 3rd week of excavations was truly fascinating and the most meticulous thus far. It all started on Monday morning when me and the others in my trench eagerly started ‘Section Drawing’. In the end, our west-facing Section had to be drawn in three separate parts due to its steep slope. It was a challenging but rewarding day as now all of us know how to properly mitigate such a tricky situation. On Tuesday morning my group and I continued with our ‘Section Drawing’. Later that day, I completely changed tasks and performed a ‘sondage’ pit on the main structure. This revealed sequential layers of charcoal which were deposited at different times. On Wednesday, we had our weekly field trip visiting Keem Bay at the western end of the island. We first visited the Coast Guard Station which appeared to be largely deserted. We then visited Keem Village which was nearby and vegetated over. We also visited Captain Boycott’s house, his name and story are the origin of the term ‘to boycott’. After a quick lunch at Bunnowna Booley Village, many of us went for a little hike and admired the majestic cliffs which distinguish the north-side of Achill Island. Later, we mapped the cliff top wall which was built to stop cattle from getting in trouble whilst grazing near to the cliffs. After that, all of us hiked along the scenic western edge of Achill Island to the Moyteoge Look-Out Post, which was built in the early 20th century and was used to monitor the coast during World War Two. We then finished our day with a talk about the Basking Shark fishing industry and a cold plunge in the Atlantic Ocean at Keem Beach! Thursday’s excavations required a lot of bug spray. However, that didn’t affect the midges as they still managed to bother us all day. Granted, it was satisfying because we dug deeper into the main feature which revealed that the sediment separating the two revetments had different colours which might suggest they were infilled at different times or by slightly different processes. As I was straightening the edges of our ‘sondage’ pit, one of the other students found a piece of flint over in Quadrant 4. This was a very exciting find because it was the very first artifact discovered on site! Friday’s excavation started quickly as most of us continued on with our varying jobs from the day before. Thus, I was straightening the edges of the ‘sondage’ pit to make it photo ready, while the others in Quadrant 1 were trying to expose the underlying bedrock. Unfortunately, Friday’s weather wasn't great but that didn’t stop us from continuing on till mid-afternoon which proved worthwhile as another student found what appeared to be a hammerstone. Therefore, our day ended on a bang and we later went to the pub to celebrate with great food and even better beer! With our 3rd week of excavations officially in the books, there lies great potential for breakthroughs in the next few weeks. Fortunately, I will be part of it till late June! So far, in my time here on Achill Island, I’ve been so lucky meet wonderful people which I hope will turn into life-long friendships. The people you meet at the Field School here on Achill is surely one of the unheralded splendours of the Field School. On top of that, after only three weeks of excavations, I’m now starting to feel like a true archaeologist. As a student and an aspiring archaeologist, I cannot put into words the amount of skills and practical knowledge which I have gained in such little time. 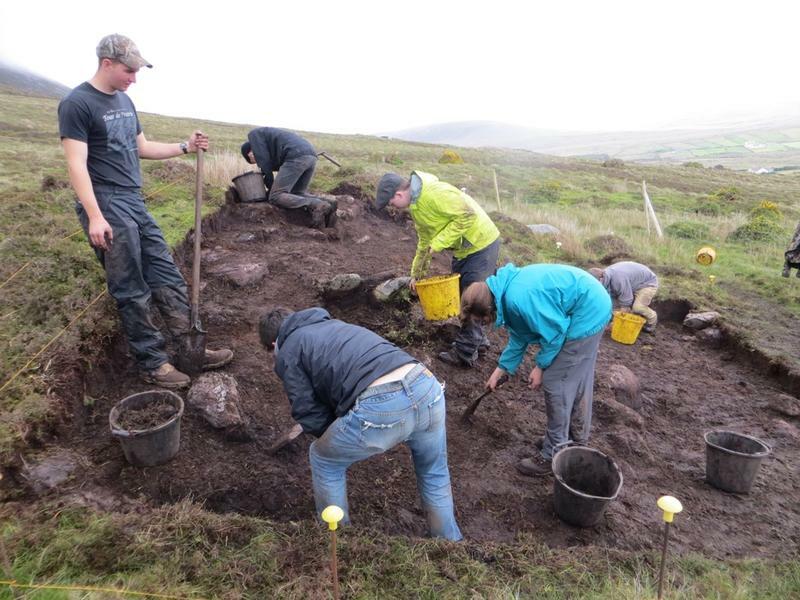 Not to forget the transferable academic credit and the comfortable accommodation makes Achill Field School a great destination for any student passionate about archaeology looking to further themselves in the discipline!